It looks like Washington D.C. might finally be taking a stand against ever-shrinking airline seat sizes. On Friday, the U.S. Court of Appeals for the District of Columbia ruled that the FAA should investigate the safety factors behind smaller airplane seats. The case before the Court was initiated by a group known as Flyers Rights, who had asked the Federal Aviation Administration (FAA) to create and maintain rules on minimum seat size and pitch (distance between seats) on aircraft. In particular, claims Flyers Rights, smaller seat size could affect the ability of passengers to evacuate an aircraft safely in case of an emergency. The group also said smaller seat size could lead to increased risk of blood clots in air travelers. The FAA denied Flyers Rights' request and the case ended up before the U.S. Court of Appeals. Now the Court is ordering aviation administrators back to the drawing board to “solve” what it is calling, The Case of the Incredible Shrinking Airline Seat." The FAA maintains that seat size has no bearing on a passenger’s ability to evacuate an aircraft. But Judge Patricia Miller, speaking on behalf of the three-judge panel, said that assertion “makes no sense.” She compared the FAA logic to doing a “study on tooth decay that only recorded participants’ sugar consumption" but did not account for brushing and flossing according to Reuters. The Reuters article also notes that seat width has decreased from 18 inches to 16.5 inches in the past 10 years and pitch has decreased from 35 inches to 31 inches since 1972. In some cases, pitch is now as narrow as 28 inches. An FAA spokesperson, Greg Martin told Reuters that the agency "does consider seat pitch in testing and assessing the safe evacuation of commercial, passenger aircraft. We are studying the ruling carefully and any potential actions we may take to address the court’s findings." Congress also looks to finally be taking action on the beleaguered Seat Egress in Air Travel (SEAT) Act. 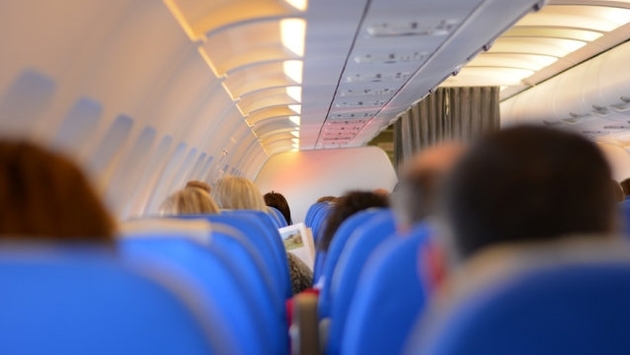 Democratic Congressman Steve Cohen of Tennessee, who has been working to introduce legislation to curb shrinking seat sizes for the past three years, has seen the latest version of his SEAT Act incorporated into the FAA Reauthorization Bill. Similar to the case before the U.S. Court of Appeals, the amendment also asks the FAA to take a closer look at how seat size may hinder a safe evacuation in case of an emergency. It even looks like the bill might have bilateral support.